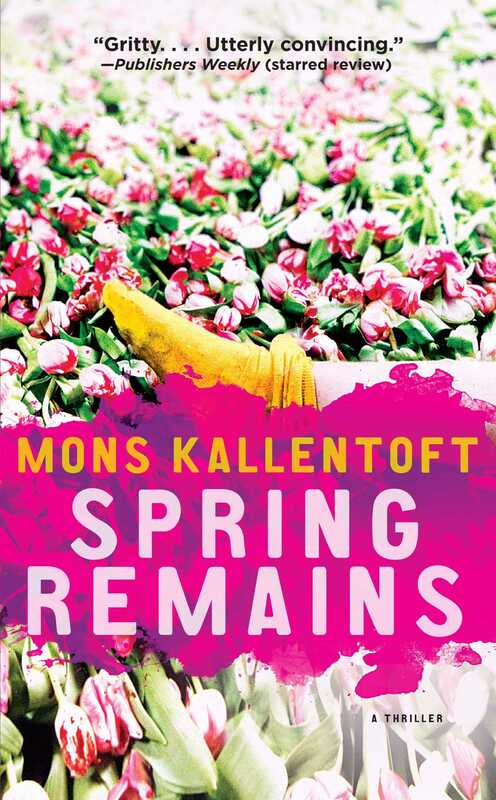 Praised for writing “vividly and harshly” (The Washington Times) with prose that’s “complex and heartfelt” (Kirkus Reviews), internationally acclaimed author Mons Kallentoft returns with the fourth chilling novel featuring crime investigator Malin Fors. It’s almost possible to see your reflection in the sky, it’s so explosively radiant and blue. It’s the same color as the very core of a welding flame, the mother thinks as she walks across the cobbles of the main square, so closely packed together, united by thousands and thousands of human footsteps, people wandering back and forth in pursuit of what they want from life. The sun is low in the sky, its rays piercing the atmosphere like shining, sharp steel spears before burning the faces of the people sitting under the huge awnings stretched out above the terrace cafés of Mörners Inn and the Central Hotel. But it’s a meager warmth, with the chill of winter still encapsulated deep in its heart. The mother looks over at the building containing the estate agent’s and can just make out the desperate adverts in the windows. She notes that there’s no queue at the cash machine, and when she looks up at the clock beneath the eaves, the steel hands look like they’ve been fixed into position. Empty shopwindows line all sides of the square—boutiques and cafés that have had to close in the aftermath of the financial crisis. The signs announcing slashed prices and clearance sales remain, and seem to plead for people’s attention through the fine pollen dancing in the air. There are surprisingly few people about, she thinks, no market stalls today, no farmers in from the country trying to sell organic vegetables grown under glass, no immigrants trying to sell fruit for cash, no secondhand stalls trying to charge ridiculous prices for knickknacks that should have gone to the dump years ago. But the hotdog seller at the corner is there. He’s huddled under his orange, yellow, and red parasol, waiting for hungry passersby to stop for a morning snack and fill their stomachs with the low-price alternative he can offer. Ten kronor for a hotdog. And the flower stall is there, selling tulips in shades of pink, yellow, red, and orange. The children, the twins, the girls, are six years old now, running ahead of her, over toward the SEB, toward the cash machine where she usually takes out money before they do whatever chores need doing. They wear matching pink jackets, matching jeans, and white trainers with four red stripes on each side. There are two of them, but they live, act, and talk as one; in all things they are one and the same. Often strangers can’t tell the difference between them and are astonished at the liveliness, gaiety, and beauty that the girls radiate, as if their whole existence were a hymn of praise to the fact that the world exists and they are allowed to be part of it. Their blond hair is ruffled by the wind, their bodies move sometimes fluidly, sometimes awkwardly, a sign that there is still an endless amount to discover, both in their own bodies and in the whole of the universe, which at this moment, in this square, in this provincial city, belongs to them. The mother breathes in the spring air. She can smell the newly opened tulips, a desperate smell, as if the flowers are whispering to her, Why are our lives so short when yours, all of yours, are so long? You take the present for granted, the mother thinks as she looks at her girls. I don’t take anything for granted. I know that everything can be lost. A man in a black jacket with the hood up parks a bicycle next to the cash machine. He doesn’t lock the bike, and carefully adjusts a rucksack on the parcel rack with his gloved hands. The man leaves the rucksack but doesn’t stop to withdraw any money, and carries on across the square toward Bokhållaregatan. The mother doesn’t wonder who the man is. Why he has his hood up in the spring sunshine, why he leaves the bicycle and rucksack. The girls have reached the cash machine now. They turn to face her and smile, and she feels like rushing over to them, picking them up, one in each arm, and kissing and hugging them, and making them understand all the love she feels, the love she hopes will make them feel safe and free in the world. Then they catch sight of the hotdog stand. Habit and hunger make them run past her over to the man under the parasol with his steaming cauldrons and photographs of hotdogs. They jump up and down in front of the man and she hurries after them. Have I got enough change? There ought to be two ten-kronor coins in her bag. The man with the black beard has already given the girls a hotdog each by the time she arrives, and he nods to her in recognition. And drinks, they like the pear flavor, don’t they? The man has a strong foreign accent. She hunts through the bottom of her black leather handbag and there they are, just as she thought, the coins, cold against her fingers. She hands them to the man behind the hotdog stand, who thanks her, bows his head slightly, and says he hopes to see them again soon. The girls trot off toward the bollards by the cycle racks outside the Central Hotel—the ones that look like sugar lumps—next to the canvas sail of the pavement café. The girls’ shadows lengthen and their mother hurries after, calling to them to take care not to spill ketchup on their new jackets, then she remembers and walks back toward the hotdog stand, and the man is standing with his arm outstretched, holding some napkins out to her. She shakes her head at her own absentmindedness, and then she is sitting in the cool sunlight beside her girls, watching them eat. The sun brightens their cheeks, making the blood rise to the surface as if to warm itself. The people at the pavement café. Who are you? the mother wonders. Trying to keep her mind from things she can’t bear to think about or feel. A neatly dressed pensioner in a blue blazer, beige wool trousers, and with slick water-combed hair. Did he used to be an engineer in Saab’s aeronautical division? A professor at the university? Or perhaps a consultant in neurosurgery or the burns unit at the University Hospital? Or is he just an ordinary old man, a worker in the traditional mold, who enjoys adding a bit of sparkle to old age by dressing smartly? Elevating his own existence in order to cope with the death that is inexorably creeping closer? She chides herself for her thoughts. At a table on Mörners’ terrace, four middle-aged immigrants are playing dice. There are matchsticks on the table, and she assumes they’re playing for money. Some high-school kids playing truant are sitting at another table. They must be playing truant, unless they’ve got a free period? There are people of all ages at the other tables, probably unemployed, having lost their jobs in the thousands of layoffs that have swept the region’s businesses. Resignation in their eyes, anxiety. Will I ever get another job? Am I finished, will I be able to support my family, give my children a decent start in life? A young, heavily made-up woman in a white coat is smoking. I recognize her, the mother thinks, she works in the beauty parlor down on St. Larsgatan. Three men in dark suits go past Mörners, possibly solicitors from one of the city’s four law firms. Or financial wannabes. There are still a few of those, even in Linköping. They adjust their ties, shining in the sun in the cheap way that poor-quality, machine-woven silk does. Maybe they’re photocopier or mobile-phone salesmen, or work in one of the banks here in the square, or at the provincial insurance office. Some stereotypical university students are clustered around a table at the Central Hotel; science students, to judge by their geeky appearance. Jeans and knitted sweaters, and very clean trainers. Presumably they have their laptops in their little briefcases. Cups of regular coffee on the table, nothing fancy. What do I know about the people in this city? the mother thinks as she leans toward her girls and wipes their mouths. The hotdogs are all gone, and now her beloved darlings are taking turns to slurp up the green, artificial-tasting juice that they’re so fond of. I don’t know anything, really, she goes on to think, except that we all live side by side, all of us so different, and we manage to get on simply because we’ve decided to tolerate each other. And we’re all bound together, no matter how much money we have in our bank accounts, or where we come from or what we do, by the fact that we share the same basic dream of happiness. But sometimes we bite each other. Just not now. Not here. Nothing bad can happen on a wonderful spring day like this. At times like this Linköping is the safest of all cocoons for human life. One of the local bus company’s red and orange buses stops beside the statue of Folke Filbyter, the ancestor of Sweden’s first royal dynasty. A few people get on before the bus heads off toward the castle. A beggar, a middle-aged woman with greasy hair, sits outside the shopping center with her hand outstretched. “We’ll do it together.” And they set off across the square, toward the cash machine, where the bike with the rucksack is still parked. The mother sees the posters in the bank windows. She recognizes them from adverts and posters, doesn’t want to think the name, but can’t help herself. The SEB bank has allowed its windows to be used by the company owned by the supposedly brilliant but extremely publicity-shy financier. The girls have reached the cash machine, and beside them the automatic doors to the bank slide open and a man wearing a leather waistcoat, with bare, suntanned arms, comes out with a black briefcase in one hand. He looks around and smiles at the girls before disappearing off in the direction of the old courthouse. The mother is rapidly catching up with the girls, but she stumbles on a paving stone that is slightly higher than the others and drops her bag. Her purse tumbles out and falls open. Her green Visa card shines up at her. There’s still plenty in the account, she knows. It’s a long way from the end of the month, and she hasn’t touched the insurance money yet. She kneels down, feeling her joints creak. The children are standing at the cash machine now, and the mother sees them playing as if in slow motion, as they pretend to put a card in, press the buttons, and then pull out some huge, magical treasure from the machine. Back in her hand again, and just as she is about to stand up she hears a hissing sound that turns into a bleep. Like a rattlesnake ­vibrating so furiously that it starts to whistle. She sees the girls stiffen and hold their ears, and she realizes that the sound is coming from the rucksack on the parcel rack of the bicycle, and she wants to run to them but she can’t move, her body is locked in a hopeless posture and she sees the girls’ faces change, and the sound from the rucksack bites into all three of them, like dragon’s teeth. She screams her girls’ names, but the names disappear into an icy blue-white lightning, followed by a heat more intense than she ever thought possible, and she is thrown through the air. Then there is nothing but a silence that drowns out the infinitely painful thunder that carries across the whole city and on across the newly awakened forests and sprouting fields, open water and dwellings of Östergötland. For the girls, the world disappears, torn to shreds by millions of ravenous, salivating beasts, only to dissolve into an all-encompassing light that shifts into something else, into a frothy white heaven with no beginning and no end. 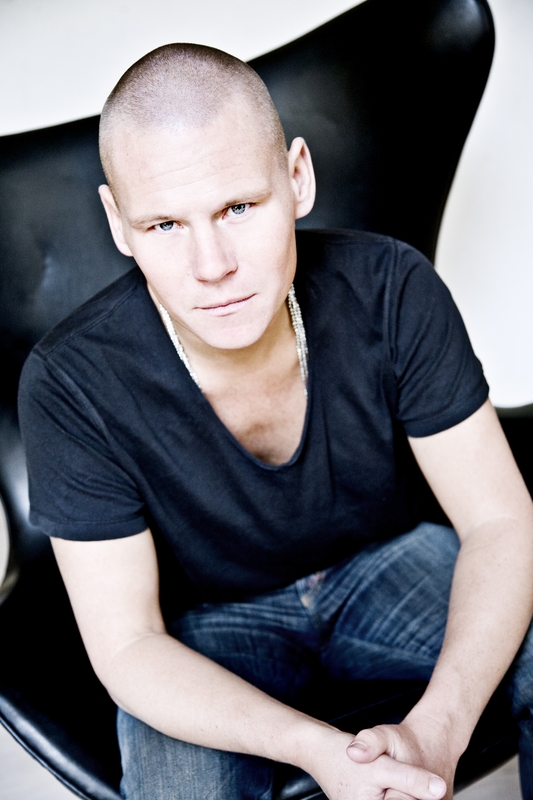 Mons Kallentoft is the author of the internationally acclaimed crime fiction series featuring Malin Fors. The series has been translated into twenty-six languages and has sold more than 1.5 million copies. He lives in Stockholm, Sweden. "My current favourite among the Scandinavian crime writers is another Swede, Mons Kallentoft. So far, three of his Malin Fors books have been translated into English: Midwinter Blood, Summertime Death, and Autumn Killing. I loved them all, particularly for the way Kallentoft gives a voice to his victims." "One of the best-realised female heroines I've read by a male writer." "This is a dark novel, full of awful people and desperate loneliness. Kallentoft is ruthless in his descriptions, but there is a great story here with solid police work leading Fors to the tale of the dead man in the tree. A must for the fans of Swedish crime novels."